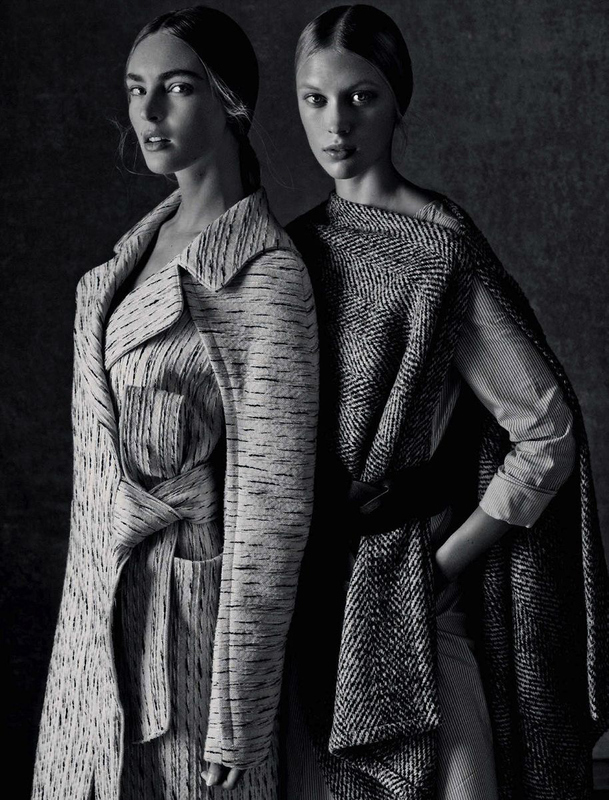 Vogue Germany's August 2015 issue delivers a mammoth 65 page editorial featuring a cast of reigning top models and rising stars shot by photographer Giampaolo Sgura. The stellar line-up includes cover girls Mica Arganaraz, Constance Jablonski, and Edita Vilkevicuite featured alongside compatriots Juliana Schurig, Karlina Caune, and Aneta Pajak. 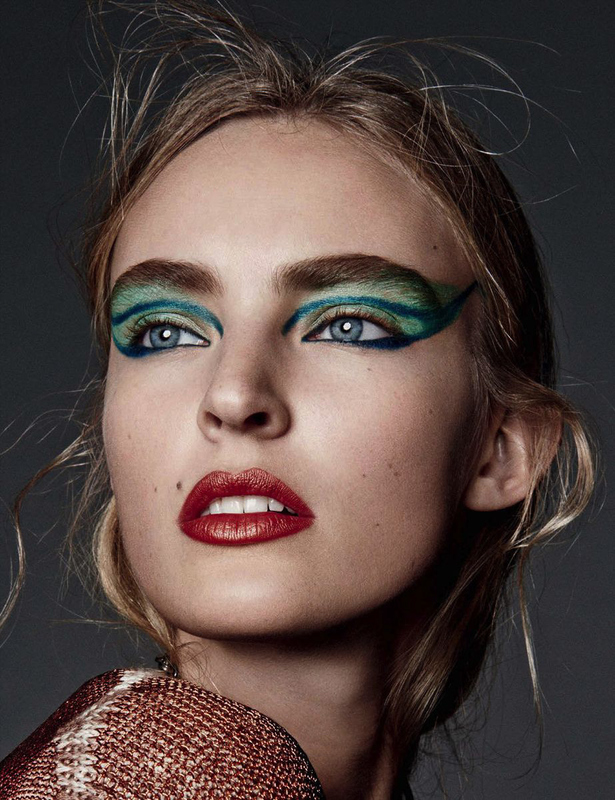 Rounding out the cast are Dutchies Sanne Vloet, Romee Strijd, Ymre Stiekema, and model of the moment Imaan Hammam. Fashion editor Christiane Arp decks the cast out in striking Fall/Winter 2015 looks from the collections of Balenciaga, Chanel, Céline, Isabel Marant, Valentino, and Jil Sander. As with most multi-girl stories, a few key faces take the lead with beauty, dynamic poses, and authoritative presence. 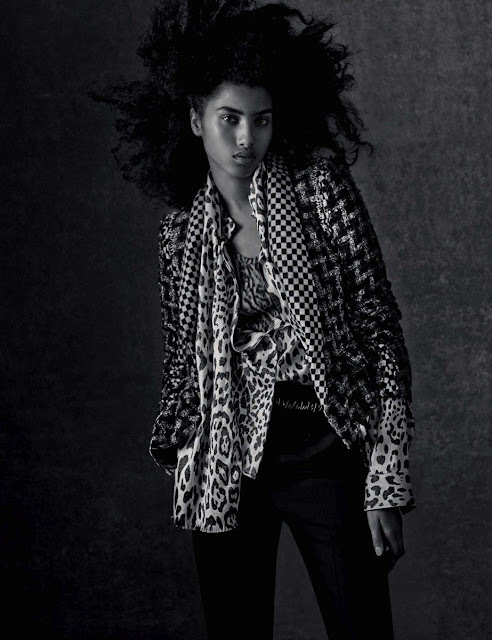 Relative newcomers Mica Arganaraz and Imaan Hammam pick up where they left off inn Givenchy's Spring/Summer 2015 campaign as they smoulder and cast a bewitching spell in a woodside setting. Industry veteran Constance Jablonski's delicate baby blues and drop dead gorgeous natural beauty are captured to stunning effect by Sgura. The element of surprise however belongs to Ymre Stiekema who looks set to return to modelling's fore following the birth of her daughter Lymée in December 2012. Stiekema recently relocated from her native Holland to New York and is poised for a comeback of epic proportions.